I was diagnosed with depression at 16 but I’ve depression since I was 10 years old. It’s a crippling disease and it’s so difficult to live with. There are days when I’m surrounded by friends and feel alone, then my thoughts get worse at thinking that if I was gone they would all be happier. 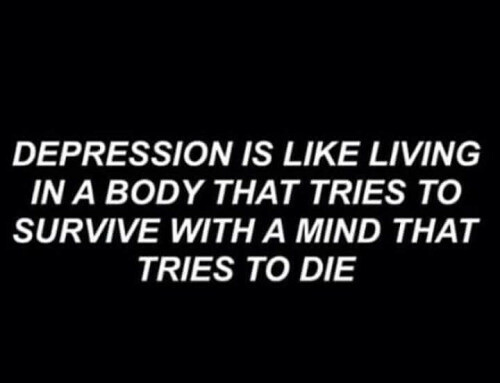 To everyone who believes depression isn’t real, I don’t know how you could think that at all. 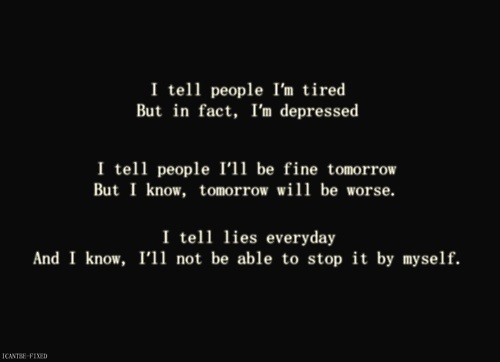 People may think I’m lazy or tired but I’m not, the only thing I’m tired of is being depressed for so long. 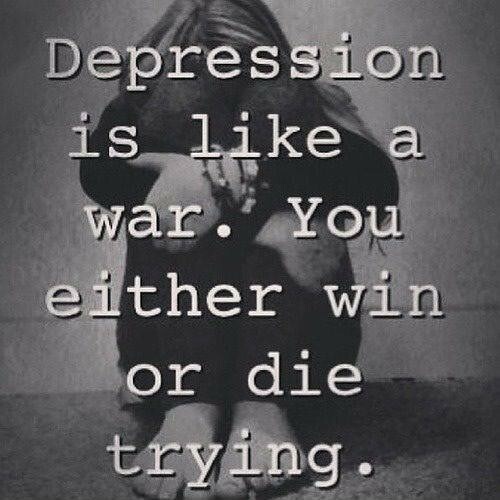 Depression makes me feel like not getting out of bed at all, it makes me refuse food even if I am hungry just to be able to sleep, it makes me be in the dark with my eyes staring deadly at the ceiling thinking why did this happen to me, and it makes wanting to continue living that much harder. Depression is very real and difficult to deal with because I go to therapy and I take anti-depression medication and I still feel sad most days. Depression is not a joke and not made up for attention, no one understand how hard it is admitting there might be something wrong with you when you can no longer smile like you used to and when you feel dead inside. Depression needs to be talked about more frequently than it ever had before. Posted in De Project, What is Depression? and tagged depression, journey, psychology, sad.